We're excited to kick off the holidays with 12 Days of AWAY, starting on December 6, 2018. 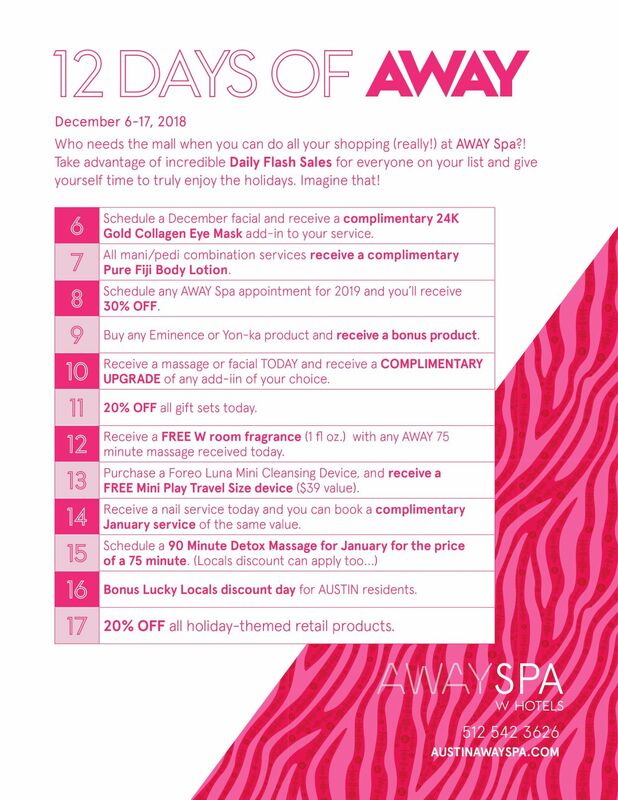 Our sales are one-day only and feature exclusive offerings on products, services and seasonal packages for you or your loved ones during the holiday season! Take a peek of our holiday offers to start planning all your holiday buys.